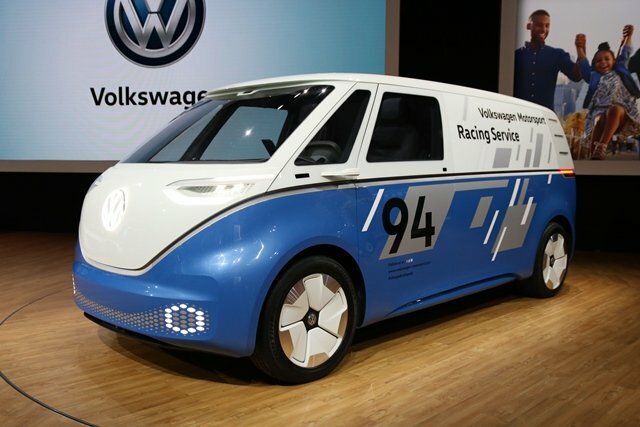 Volkswagen showed a cargo version of the I.D. Buzz concept van. A passenger version of the van was introduced in Detroit earlier this year with slight differences in design.